DIY dog grooming using the best tools for a perfect job. 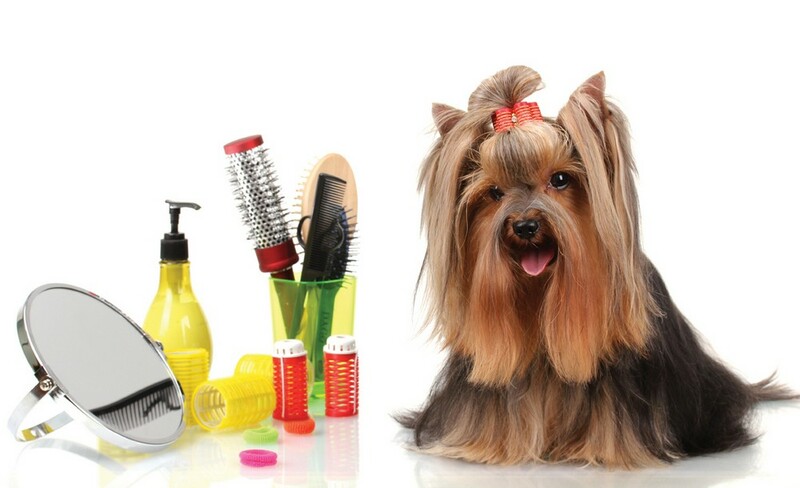 Once you have mastered DIY dog grooming, you will never want to go back to a groomer again. Not only will this save you money, it could save you time and your relationship with your dog will improve providing you groom with love. 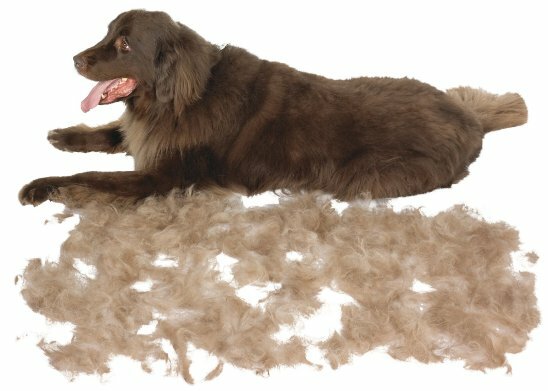 Depending upon the breed of your dog, shedding can take place at least three to four times per year. Our dogs can not escape shedding hair; as a result, we can not let them escape them from being groomed. You know when your dog needs grooming, one minutes there’s virtually zero hairs around the house, then suddenly there’s masses of clumps drifting across the floor. If you have wooden flooring like us, it’s more noticeable. Before beginning, find a quiet spot, you could even do it with the TV on. Always take the opportunity to relax whilst grooming and avoid thinking it’s a chore. 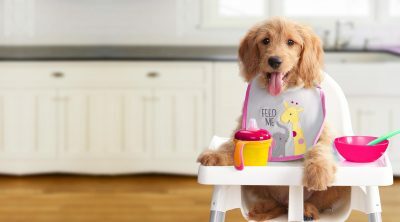 Initially, you may find the DIY dog grooming process tiring until you’ve mastered how to groom. 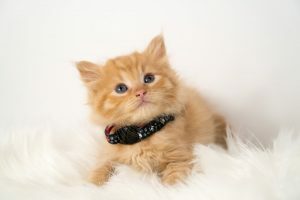 Once you comprehend the fur grooming technique and you’ve de-shedded three to four times per week, the grooming time will significantly reduce. At best, you will eventually be looking at 15 to 20 minutes per session, but can take longer if you become addicted to furminating – it can actually be very therapeutic! 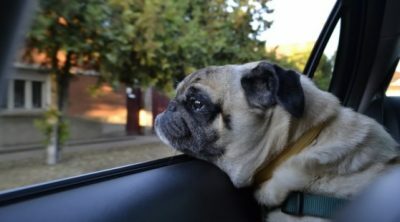 If your dog is one of those that move around a lot, then follow these tips. Put your dog on a leash or dominant lead and attach the other end to something whereby he can’t walk off, we use our sofa castors or a table leg. 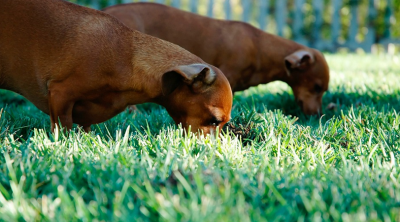 Due to the amount of hair loss, it’s probably more ideal to groom outside of the home such as your backyard. Begin using the Furminator trimmer gently sweep down your dog’s coat. He may not like it initially so introduce it slowly and offer plenty of treats. Eventually, he will be okay with the idea and the treats can be reduced. Use gentle sweeping movements throughout your dog’s body, be particularly gentler around their knickers. If you’ve never furminated your dog, he will shed a lot of fur; two full carry bags isn’t uncommon. Of course, you will need a bin to confiscate all that loose hair. Secondly, use the Slicker Brush, begin by brushing through his coat again just like furminating, but quicker sweeps. This stage takes approximately two to five minutes, it releases any hair sitting around that you can’t see. Consider using the Furminator Nail Clipper DIY dog grooming tool for trimming your dogs nails. Should your dog’s paws be a little hairy, clip the hair using an electric clipper, avoid clipping between the pads, clip excess hair only. Always avoid clipping near your dogs ‘quick’. The ‘quick’ is the white section, if you nip that bit, your dog will bleed and will be in pain. 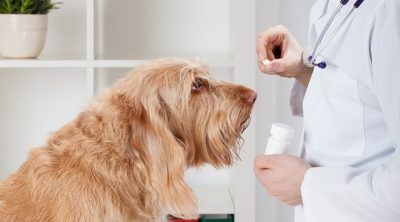 Your dog may associate that pain with you, so be very careful! Tip: Always have an anticoagulant on hand just in case you have an accident! Kwik stop’-it’s styptic powder is an excellent choice. It is wiser to clip little bits of nail off at a time rather than one whole chunks. 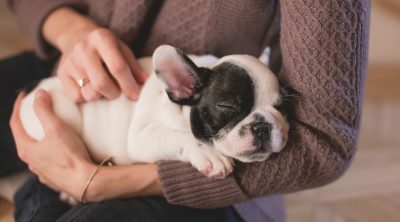 Frequently clip your dogs nails as it prevents the ‘quick’ from growing. If your dog hasn’t had his nails cut for a long time the ‘quick’ might be quite long. Begin by regularly clipping, the ‘quick’, will eventually become shorter. 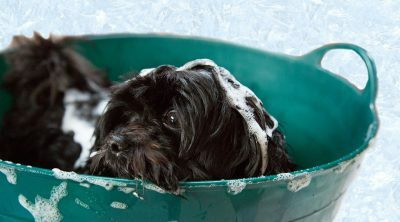 Regular DIY dog grooming makes your dog feel better, it is like a medicine to your dogs soul! Furthermore, dogs will begin to associate this grooming routine as a varying form of petting or an alternative source of affection and attention, especially if you’re using treats.